Home › Forums › Bugs and Troubleshooting › A plugin has prevented updates by disabling wp_version_check(). This topic contains 0 replies, has 0 voices, and was last updated by cwilliams 4 months, 3 weeks ago. 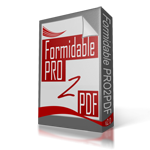 I don’t have any problem with Pro2PDF! It works great! Exactly what I had been looking for, and I’d rather not deactivate it until I need to use it again….But, I need to see if this error can be remedied, so that I can use my new Editor Plugin. If needed by your Support Team, I can send them a copy of “Under the Hood”, but by Email only, as I will not post it here. Thanks! Reply To: A plugin has prevented updates by disabling wp_version_check().